Tekoa has top-end yield potential, combined with desirable yield protection traits, and excellent quality. 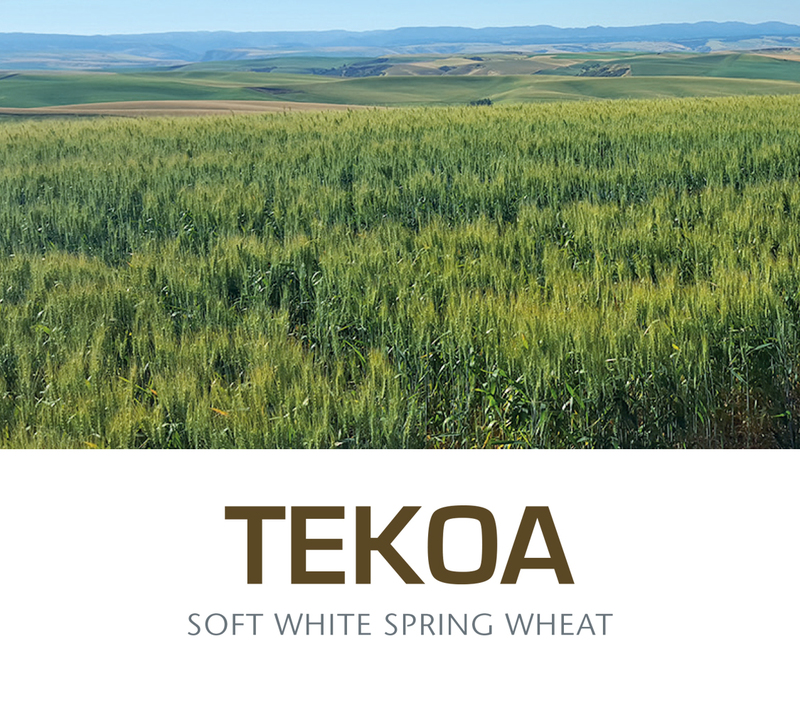 Tekoa is a soft white spring wheat variety released by Washington State University that may be grown in all production zones of the Pacific Northwest. It has later maturity, very good resistance to stripe rust, medium height with very good straw strength, very good test weight, Hessian fly resistance, aluminum tolerance, and excellent yield potential in low, intermediate, high rainfall, and irrigated production areas. As a later maturity variety with high test weight, it may provide a valuable option to mitigate risks and take advantage of years with above average moisture in all production regions.